Cheerio, Darlings! It’s Alice peeking through the clouds of Heaven. As summer winds down I felt it timely to share a wee bit of Alice Wisdom with you. Soon the chills will be upon us and we must have a plan to fortify the home and its members! No home should be without honey and pure fruit juices. A spoonful of home honey every morning helps to fortify your defenses. Use the fruit juices to prepare hot drinks for colds and chills. Black currant is best, dears! They must be pure juices. Finally, have a wee tot of whiskey in the house, love. A teaspoonful in a toddy is a grand pick-me-up when you come in chilled to the bone! Adults only, dears! Now, Mother have a look in the medicine cabinet and make sure that you are prepared! Hello, Darlings! It’s, Alice, shining down to deliver a weekly “delight” to your in box. The view through Heaven’s soft as gossamer clouds is a glorious one! Today’s weekly delight offers wisdom (from myself, Alice) and a lovely, French dessert recipe, dedicated to the young and the young at heart. First, an Alice Rule~ The young wife learns that it is impossible to live on Love, so I have chosen an economical yet lavish recipe to sustain life (and perhaps, Love). Charlotte was one of my husband Charles’ favourites ~(dessert, that is). I have recently been advised (by Grace~ my rather vain grand-daughter) that a rather lavish, economical chain boutique goes by the same name as my prized French dessert! Dears, in my day we made do. Soak two tablespoons of gelatin in a little cold water for fifteen minutes; dissolve with a cup of boiling water; add four tablespoons of powdered sugar; when cool strain slowly into a pint of rich cream which has been chilled and whipped to a stiff froth, stirring all the while the gelatin is being poured in. Pat between layers and on the top of sponge cake, or turn into individual moulds. Line with lady fingers or sponge cake cut to fit the moulds. Leave in a cold place until serving time. Ta- dah! Enjoy and until next time, Cheerio my dears! 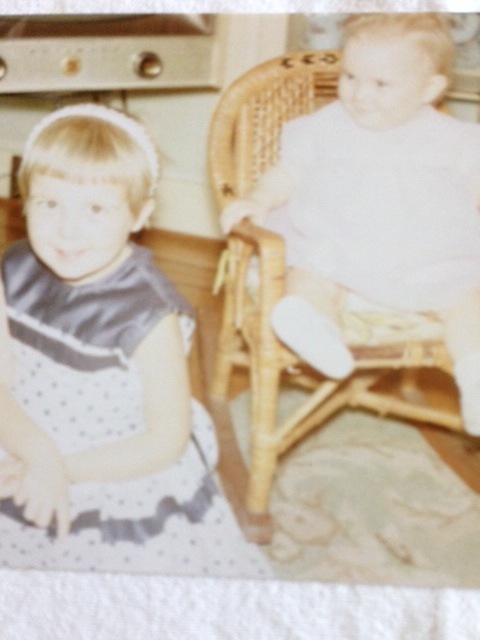 My earliest memory is of myself as a three-year-old child awaiting the arrival of another, the sister. Throughout the lead up to the sister’s arrival, there were comings and goings, blurred images. There were the preparations, piles of snow-white diapers, the rosebud flannelette bedding, soft as bunny ear sleepers, and the wooden crib. There was, the kindly German speaking housekeeper hired to manage the home, when my mother went to the hospital, the one who served the bright pink borscht soup and encouraged me to “eat up, eat up.” There was my father flitting in and out to attend to work and visit with my mother, my uncle’s cheerful, teasing presence and Grandfather Boomba’s, quiet, watchful eyes from afar. Colouring pictures for my mother, waiting patiently for her return, watching the cherry tree from the kitchen window, its limbs bare, stalwart, anticipating winter’s coming storms. Finally, my father arriving home, flushed and excited to share the news, Marge had a baby girl! You have a sister, Grace. Let’s have a cigar, James! A sister. I cannot remember much emotion surrounding the news on my part, rather I believe that I hoped that the sister would play school with me, and allow me to cart her around in a baby doll buggy. A sister. This sister, a fragile, teensy little bit wrapped in a white knit blanket, arrived home on a cold, late fall afternoon, a winter fairy. A sister tucked so snug, her little pink face barely visible from beneath the blanket tightly swaddled around the wee body. The sister with such dark eyes, almost black, centered in a teensy pink face, grub like, she was so fresh to the world, a fascinating fairy child for entertainment. Immediately, I would discover that the sister, fairy child could be quite stormy, heartily screeching out, and dependent of the safety found in my mother’s arms. The sister was establishing and asserting her unfairy like ways into our lives with amazing speed and tenacity. In my young mind, there wasn’t anything magical about this one. I recall a memory, a moment. Hearing some sounds from the hatchling, I tiptoed into my parent’s bedroom to view the little sprite wriggling in the crib, her little pink fists tightly clenched into balls, limbs jerking, poking up and out from under the blanket that loosely swaddled her limbs. The sister sounded like a restless kitten, mewing and peeping as she struggled to unwind. My mind wondering, what if I just picked her up and carried her to the kitchen, to my mother? I carry Betsy, the plastic wetting doll, I can carry this one. The sister was wiggly so I quickly grasped the writhing body by the legs plucking it from the crib. Upside down, quickly becoming agitated, hysterically frantic by the time I walked the short distance to the kitchen, the sister’s face the colour of beets. Here’s your baby, stated in a rather disgusted tone of voice. My mother leaping from her chair, grabbing the sister and righting her body; the eyes back up toward the ceiling. This story would resurface in conversations over the years, my mother adding in the part, she held you by the legs upside down almost damn near dropping you on your head! Luckily she didn’t! The sister would be fine and forgiving with this fact as she quickly learned that had she been dropped on her head, it would pale in comparison to the bumps and crashes she would later experience. The sister is a brave one, far stronger than me. I am grateful for her presence and love. My earliest memory is of a three year old awaiting the arrival of another, the sister. 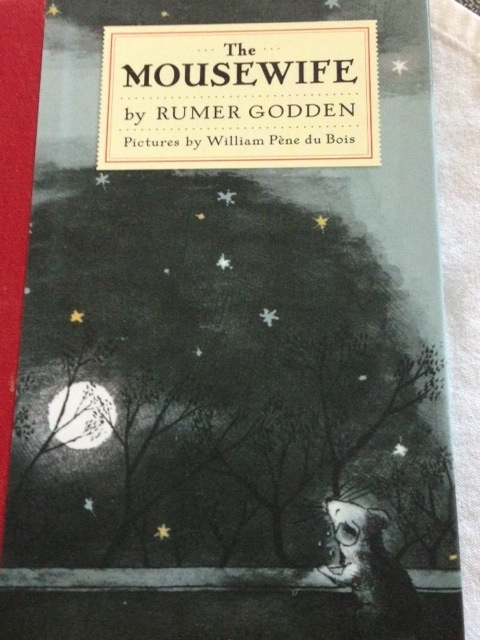 One of my favourite, serious Children’s Books is from, The New York Review Children’s Collection~ The MOUSEWIFE by RUMER GODDEN, Pictures by William Pene du Bois, published in 1951. Pene du Bois’ whimsical pen and ink illustrations compliment the beautiful text of friendship and bittersweet love between a Mousewife and a Dove. This is the hauntingly beautiful tale of a little Mousewife who spends her days gathering crumbs and scampering about her little world attempting to please a rather cranky and unappreciative husband. “I think about cheese,” said her husband. That is, until an unexpected guest, a Dove arrives. The Dove held captive in a birdcage, wishes to be free to fly once more. While in captivity the Dove captivates the Mousewife with tales of the world outside the window, how it felt free to fly, encouraging her to dream of more, questioning the familiar life she has become accustomed to. Reluctantly, the brave and compassionate Mousewife finally makes the decision to set her new, dear friend, free from the prison of the birdcage. In doing so she will lose the Dove’s company. Sadly, the Mousewife realizes that they travel in different worlds, and she returns to the everyday, predictable life of a mousewife, with only memories to sustain. This is the hauntingly beautiful tale of friendship and bittersweet love between a mousewife and a dove. This is a beautiful tale of love and if you haven’t read the story, you must. Tea with Alice was amusing, if not, slightly charming. My Grandmother Alice enjoyed a spot of tea, Earl Grey being the tea of choice. Alice used a cooking pot to boil the water before transferring some of the scalding liquid into a metal teapot to warm it up. Then, my grandmother would take a minute timer and tip it over, the sand slipping through the tiny channel of glass. After 3 tips of the timer, 3 minutes, according to Alice, she would dump the warming water into the sink and fill the teapot, adding Earl Grey to the mix. From my vantage point at the cluttered chrome table, I could see Alice’s prep area, a tiny room that extended off of the kitchen area, as if built as an after thought, Where shall I cook, Charles? 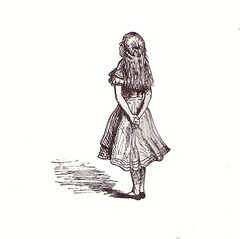 There was a window through which Alice could observe her two sisters who lived in the house next door. Looking to the right, Alice could see her garden of pansies. Usually, Topsy, the cat was sunning on the brick borders or the adjoining sidewalk between the two houses. Painted white cupboards attached on either side of the sink area. The counter top was wooden. There was a plunger on the floor. Beneath the sink was open shelving crammed full of various odds and sundries, a container of Ajax, a tobacco tin, plastic bucket, oil, paper bags, bolts, washers, and a mousetrap. The Scotch and Sherry were hidden behind the plastic bucket. The everyday cutlery sat in a large empty tin of Nabob’s Instant Coffee. The yellow handles looked like they were fashioned from bone. Open shelving lined the wall opposite the sink, where Alice kept her box of saltines, sugar biscuits, canned ham, flour, and baking items. Did I mention the cookie bags and cake boxes? I should tell you that Alice stashed cash in the bottom of cookie and food packages. Like a resourceful little mouse wife, Alice managed to stash a lot of cash. The stove was in the open area of the kitchen, where I would patiently sit, watching and waiting for our tea to brew. Alice preferred her tea strong and would let the tea brew for five minutes, before pouring the dark, amber liquid into a teacup. I preferred my tea, weak. It’s practically water, Grace! Carnation Evaporated Milk to flavour the tea, turning the liquid to a creamy, caramel shade. Alice would pour a drop of canned milk into her cup and stir it slowly with a teaspoon, the creamy milk creating swirls in the dark liquid. The biscuits were usually Peak Frean’s Sugar Biscuits, the thin wafer deliciously sweet with sprinklings of fine sugar. We always sat across from one another, Alice with her back to the mudroom, mine to the stove. Picture this, Alice’s drying rack hanging directly behind me to the left of the stove. Always, there would be bits and pieces of personal garments hanging from this suspended contraption. Slips, nylons, knit wool socks, when my Grandfather was alive; Alice never wore socks, only nylons. Sheer scarves would dangle, along with the occasional brassière. I always thought that this was rather unusual and out-of-place to air your laundry in full view of the guest, so to speak. If the space heater was blowing or the window open, it was not unusual to find a sheer half-slip or a pair of nylon stockings on your head or dangling off a shoulder-blade, all the while sipping tea. It was rather cheeky and quite disconcerting to politely pick the undergarment off and return it to the drying rack. Alice was rather proper in her deportment therefore I never understood this rather improper arrangement she had with her laundered undergarments, scarves, and guests. A comfy Queen Ann style chair sat beside the stove, under the suspended drying rack. 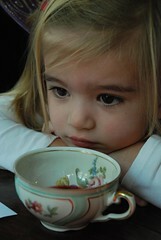 Alice would sit and read the daily paper; teacup perched on the stovetop, before retiring off to bed. It was the very same chair that held her tired shell, the morning I looked in the window and saw her sitting in the chair, dead, with a half-slip covering her hair. Alice’s sister, Molly fascinated me. Molly was constantly soaking her feet in hot water. Newspapers would be spread under the bucket to catch the splashes and drips. Sometimes, when I would enter Alice’s kitchen, Molly would be soaking her feet as she rested her ample bottom on the Queen Ann. My grandmother, Alice, said that Molly worked in a local Fruit Cannery and had, rheumatism. Molly’s legs bowed as she ambled with an awkward, stiff gait. Aunt Molly never spoke, ever. We would look at each other and I would say politely, How are you Aunt Molly? She would nod and grin. Whereas Alice was pretty, Molly was crone like, slightly frightening, her feet plunked in a bucket of hot water, watching and grinning. I’m ashamed to admit, I imagined Molly flying about the night skies on a broomstick. Molly read trash magazines; that’s what my father called them. The National Enquirer was her choice. This tidbit piqued my curiosity as I was only allowed to read real books, forbidden comics, no sensational trash. Once I located Molly, sunning in her chair, I would stroll by, attempting to crane my neck enough to see the tabloid cover shot of the MAN WITH TWO HEADS or some other fantasy alien creäture. Purposely, I would venture to the side of my Grandmother’s house, lurking about, hoping to find a forgotten copy of Molly’s trash tabloids. 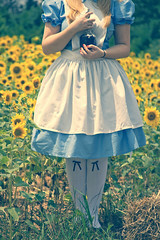 That opportunity ended abruptly, my childhood days spent visiting Alice, over, and by the time I was seven. That’s the perplexing thing, why did our occasional visits to see Alice cease? My father appeared uncomfortable in his childhood home; he didn’t seem to handle the small, claustrophobic space that well. Pacing about the perimeter of the small kitchen, sitting for a few minutes, standing and pacing, that’s how I remembered my father’s actions. Sometimes, my Grandmother would bring out some of my father’s tin toys with wind up keys. Minstrels, feet tapping on a tin stage, wind up cars, a one-eyed sawdust teddy bear, and mechanno covered the living room carpet. Our visiting time was usually up, shortly after we arrived. On the car ride home, father would comment on his mother, She’s an odd old bird, junk and stuff everywhere, never throws anything out. Dad does everything for her and the sisters. It was about the time that our visits ended when Alice began to take it upon herself to preach the word about, Cod Liver Oil. Alice decided that my sister and I could use a bit of fortification and took it upon her self to administer a tablespoon-sized dose of the ghastly oil. We weren’t impressed. The grown ups crowding, Molly, grinning that crazed grin, watching as the spoon got closer and closer. My sister would cry until my father picked her up, puckering her mouth shut, refusing the vile liquid. I would resist for as long as possible until finally weakening, succumbing as the hard edge of the spoon was pushed into my mouth. It was about that time that I decided that it would be best for all if we never returned to Alice’s house. We never did, not as children. Hello, Darlings! It’s Alice, returning with a simple dish to grace your table. Today’s dish is, English Monkey (For the Love of Mike, I have no idea why it is called this intriguing title!). Soak half a cupful of stale bread crumbs in half a cup of milk fifteen minutes; put one heaping teaspoonful of butter into chafing-dish; add one third of a cup of cheese cut fine; stir until melted, add crumbs with one beaten egg. Salt and pepper. Serve over crackers. Have a shot of sherry as it bakes! 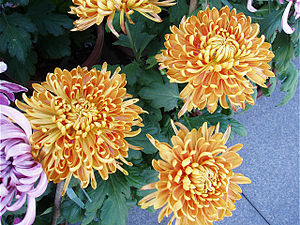 My father enjoyed gardening, in particular, growing prize chrysanthemums, which he would enter to show. Every fall, dad would choose the best of the mums, name some after his girls, and take the blooms to the Royal BC Chrysanthemum Club show event. Dad would ready for the show the night before, carefully choosing the perfect blooms. Next, dad cut the long stems, gently pulling off any brown or wilted leaves from the length of stem. “Patience is important”, he would say. We would crowd around the bloom, our eyes searching earwigs. Spying one, dad would deftly remove it with tweezers. The perfect bloom carefully placed into a tall white bucket of water where it would stay until being loaded into the back of the wagon. As we grew older, experienced, my sister and I were allowed to enter our own chrysanthemums for show. My sister chose to grow purple, spider mums. I chose white disbuds. Dad was a talented, meticulous mum grower and won many “First Place.” We were proud of our father and his efforts as we carried the armloads of blue ribbons and certificates to the car. Few growers could match dad’s talent. Grandpa Tom would discuss the plants, look over the greenhouse improvement plans, and offer advice on the fickle heater in the space. My sister recalls gardening with Tom and credits him for her affection for gardening today. My grandfather was a believer in fish head fertilizer and would bring the bag of heads for us to dig under and into the growing soil pile. We hated the stench! “That’s the secret ingredient,” he would say. When I pass a florist, I am automatically drawn to the white chrysanthemums, disbuds, their perfectly round heads with the petals curving to a tight centre. Elegance. I can never resist purchasing a few. 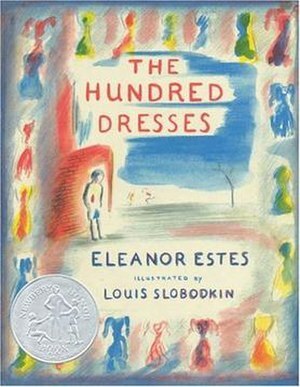 There is a beautiful children’s story titled, The Hundred Dresses, written in 1944 by, Eleanor Estes. It is the tale of a poor Polish immigrant’s daughter and this young woman’s illustrations of the one hundred dresses she wished to own. It also depicts the cruelty of peers, and the optimistic spirit and strength of the young character. If you have never read this beautiful, humbling tale, you must. With a few tweaks to the setting, Este’s story caught my heart and I remembered a story my mother shared. This was the beginning of our personal Cold War period, we were drifting apart. However, our wishes were similar. We wanted to fit in with peers, we wanted to be accepted, and we both wanted a pretty dress. It was another episode of teen angst and a teen’s foolish desire to fit in. I continued to needle away at my mother, pricking at her with my demands and words, “I don’t have any nice clothes! I wear the same things all the time! Everybody else has nice clothes, I have nothing!” Which was partly true. I had hand made clothes, refurbished silks and damasks, cut and stitched. 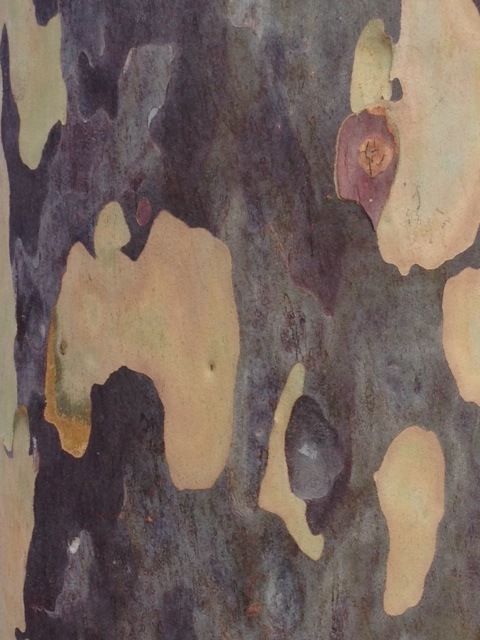 My mother, an artistic, creative, inventive woman, could artfully combine textures, patterns, and colours of fabric. My mother delighted in the process of combining satin and silks to form a Japanese inspired kimono complete with frog closures, Grace! Mother found pleasure sewing beautiful dresses for me. Always seeing with a brilliant, artistic eye, mother had undeniable flair and style. Tops were colour blocked, shifts were embellished with rickrack or ribbon at the neckline and hem. Christmas dresses were luxe velvet with Peter Pan collars. Money was tight so mother would source unusual and beautiful fabrics, remnants from the fabric stores along Dunbar Street. On a whim, mom would pull the curtains down and remake them into outfits for the girls. My mother chose Vogue patterns for their clean, elegant lines. There were several years of Christmases where my sister and I would choose our choice of coloured velvet, “I’d like green velvet. Please, put a Peter Pan collar on the dress.” Always, my mother would oblige and delight us with a stunning dress. I recall one beautiful dress my mother made for me to attend my Grade Seven Graduation in. It was the 60s and op art was the rage. Mother found a green, yellow, lilac and turquoise blue, Pucci inspired print, which she fashioned into a sheath style dress. Next, she attached a sheer lilac fabric overlay. It was haute couture for a rural Coquitlam elementary school graduation. Shoes, you need the right shoes, Grace. We’d hop on the local bus and head to the Army and Navy Department Store, in downtown Vancouver, to source out lilac suede shoes. I admit, my mother had a flair for design and she created gorgeous pieces of clothing for us to wear. Suddenly, mom’s efforts weren’t good enough for me. I wanted a store bought outfit and I was determined to berate and wear her down, eventually into submission. I wanted a pretty dress! Crying, slamming the door to my bedroom, flouncing around, quite certain that the world was going to end if I didn’t get a new store bought dress. After awhile, my mother flung open the bedroom door and harshly reminded me to, “sit up and stop the damn nonsense!” Never gentle in her approach when harried or cross, mom preferred to bark out words. I knew to stop the nonsense. My mother proceeded to share a personal experience. The setting was a classmate’s birthday party my mother had been invited to attend. “ I owned two dresses, one for church and one for school. I wore my school dress practically every day. The old man didn’t care. One day, a girl in my class invited me to her birthday party. I was so excited to be invited to a party. Arriving at the hostess’ house, gift in hand, I couldn’t wait to play with the other girls. They were popular girls and they had more pretty dresses than I did. I was flattered and surprised to be invited to the girl’s party. Afterward, one of the girls told me I was invited because they wanted to see if I would wear the same old, school dress. The girls were laughing at me.” My mother had tears in her eyes. I felt ashamed when mother left the room. I recalled a time mother had a party to attend. Up late, sewing until after midnight, mother spent hours reworking and fashioning a gilded empire waist number, with a bronze satin sash, only to toss it. I don’t like it; people asked if I was pregnant! My mother’s words, the tremor in her voice, the shame, mirrored in her lowered eyes, as she retold the birthday party disaster, pacing back and forth in front of my bed, haunted me. I vowed that I would behave better, demand less of her. I felt sorry for her. I decided that I would find a way to earn money; beginning to appreciate that money would be helpful if I wanted to independently shop. I also vowed that I would never see my mother ashamed again and it became my mission to find a way to please her. Many years later, I was wandering the Children’s Section of a local bookstore for a book to give my daughter. I discovered, Eleanor Este’s heart rendering story. Turning the pages, my eyes skimming the print, I realized the book paralleled my mother’s story. My mother is 84 and life has not always been kind to her. Insecurity and anxiety resurface. Frugal, my mother subsides on a government pension and savings; she exists in the subgroup, titled, below the poverty line. Mom no longer sews, however her eyes light up when she receives gifts of pretty tops and the occasional colourful, Vera Bradley tote. The designer, painter, and seamstress in her automatically comments on the pattern, the colour, and the workmanship. Always, there is gratitude in my mother’s eyes, as, child like, she hastily opens the gift, I’ve always liked a damask print. My it’s a bit bright, Grace! Purple and blue are per-r-fect colours. They chintz out on the button threads, don’t they? I want my mother to feel pretty for her remaining moments in time and to know that I recognize the efforts she went to, designing and sewing my clothes, trying to please and protect me, hoping I would fit in, safe from the cruelty of taunts and comments. I want my mother to realize that I caught her pain and observed her strength. I want my mother to know that only now do I fully appreciate the life lesson she taught me, many years ago when I wanted a pretty dress. It’s time for another tip from Alice’s Cookbook, Us Two~A Collection of Personal Recipes Adapted For Two Persons, Jennie B. Williams-1909. This particular prized piece of advice comes from the back of a scrap paper tucked into the cookbook for obvious safe keeping. 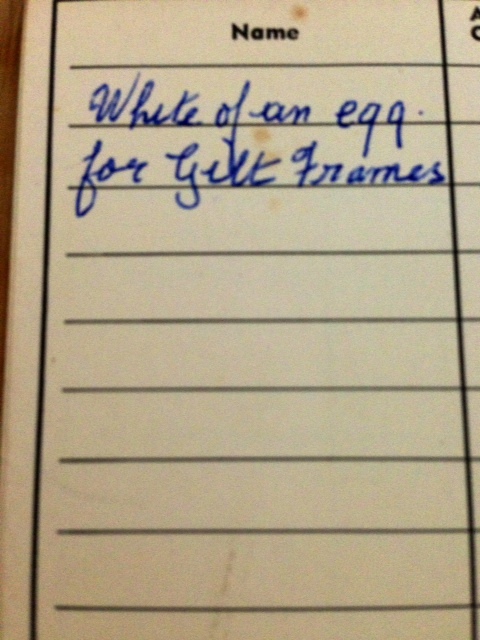 To those of you who have gilt frames and are wondering how to shine them, Alice suggests rubbing the frame with the white of an egg. LOL! Who knew? The one life change that I hope results from writing a blog, is heightened compassion for another being. Often we assume that we know the whys of actions of another or we assume we know better. We judge when we should remain open to listen and grow in our capacity to understand another’s actions. Better understanding of and a heightened compassion for the frailty and resilience of the human spirit. This aspect fascinates me. What happens in a lifetime when certain choices are made, the fall out, the sorrow, the anger, the remorse, the love that always remains, simmering just beneath the surface of a soul. The shaping of a life. Why are some individuals able to develop deeper compassion while others display callousness? To develop a bigger heart of forgiveness and compassion. It is my hope that readers discover the bittersweet memories, the forgotten treasures, and the beauty behind the ordinary, often flawed characters that I write about in aliceandmolly~ Writings from Life. For we are human and we are all a part of a bigger condition~ how to learn to embrace one another in the spirit of kindness and empathy. That is the one life change, that I hope results from writing a blog.